Dreaming of a picture-perfect smile? You may want to consider getting dental veneers, which can help you achieve bright, white and perfectly aligned teeth. Dental veneers are thin shells, usually between .3 and .5 millimeters thick, made of porcelain or ceramic composite that is placed over the natural teeth to create a more unified and healthy appearance. According to the American Academy of Cosmetic Dentistry (AACD), this dental procedure ranks in the top three most popular cosmetic dentistry procedures in the United States. Those who get veneers often want to mask worn tooth enamel, spacing issues, discoloration, cracks and chips on the surfaces of the teeth. In other words, veneers can help you achieve brand-new, healthy teeth and bring plenty of cosmetic benefits to boot. But dental veneers aren’t right for every application, and not all those with cosmetic dental issues can benefit from them. Here are some important points to consider. While a new set of pearly whites can certainly bring benefits, many dentists believe that the procedure is widely overused, and that it can lead to long-term dental problems. Placement of the new veneers can remove between 3 and 30 percent of the existing tooth structure, which professionals believe is unjustified in some cases. A good alternative is no-prep veneers, such as Lumineers, which don’t entail the removal of any significant amount of the tooth’s surface. However, most dentists agree that with proper X-rays to determine tooth and gum health, traditional veneers can be safely applied without causing long-term damage. It all depends on what kind of veneers are used and what your cosmetic dentist recommends. The placement of the veneers is generally pain-free, but the preparation requires drilling and the removal of some enamel, which can be uncomfortable. Compared with traditional veneers, new options are thinner and stronger, which means dentists don’t have to remove as much enamel as before, which helps minimize pain during the procedure. Typically, your doctor will use local anesthesia to ensure that the procedure is comfortable for you. In the case of no-prep veneers, there is rarely a need for anesthesia, since this type of veneer doesn’t require any drilling. Previously, cosmetic dentists used a feldspathic porcelain veneer that layered glass-based powder and liquid. Now, dentists typically used pressed ceramic veneers, which are even better at preventing stains. Additionally, the cosmetic dental procedure usually requires the veneers to be finished with a stain-resistant resin. Each tooth-shaped shell is better equipped to keep teeth free of stains from coffee, tea, wine and smoking than your natural teeth. If you have dental issues that cause yellowing or staining, porcelain veneers are a good option for achieving pearly white teeth. Research suggests that after 10 years, about half of veneers are no longer present, have required new treatment or are no longer in good condition. Because the process takes off a significant amount of the existing natural tooth, patients will have to have veneers replaced or choose an alternative once they begin to show signs of wear. With that taken into account, there are a variety of veneer types on the market, and some last longer than others. For example, pressed ceramic veneers are thinner and require the dentist to remove less tooth structure (and therefore won’t damage the teeth as much), but they don’t last as long as feldspathic veneers. If you’ve ever had temporary veneers, know that permanent ones are entirely different, and are made of a more durable material that’s less likely to break or crack. Do Veneers Straighten the Teeth? Unlike traditional braces or clear aligners like Invisalign, veneers don’t technically move or straighten teeth. They can, however, create the appearance of neater and more well-aligned teeth. During the procedure, an experienced cosmetic dentist will reshape the teeth to correct overlaps and gaps. Tooth material is removed and then replaced with new ceramic tooth material, which can improve the appearance of crooked, crowded or gapped teeth. Many cosmetic dentists recommend placing veneers only on the upper teeth and leaving the lower teeth intact, but those who have significant issues with misaligned teeth on the bottom often have veneers placed on the bottom as well. What’s Recovery like After Veneers? Getting new teeth isn’t as invasive or intense as it may seem. In fact, most patients have a brand-new smile after just two office visits, which usually last no more than two hours. Additionally, most patients who receive only local anesthesia are able to immediately return to their normal activities after the procedure. Of course, if you opt for sedation dentistry, you will need at least a day to recover from the use of general anesthesia. Some patients do report minor side effects after having veneers put in place. You may experience some tooth sensitivity, headaches, jaw pain or tooth pain. Some people who get porcelain veneers also report that their teeth were so sensitive after the procedure that eating was difficult, but this isn’t a common occurrence. How Do Veneers Change over Time? The primary issue with veneers aging is that, like most materials, they will break down over time. Most veneers will begin to decay and recede near the gums after several years, which can cause the veneers to become weak or loose, making them more susceptible to breakage or de-bonding. This also makes staining more likely over time around the top area where the veneer meets the gum line. Since veneers typically last between 10 and 20 years, most patients will have to have them replaced or fixed at some point. The good news is that new veneers are relatively easy to add, since the preparation process was already done during the initial procedure. Can Veneers Fall out Easily? Depending on which type of veneer you get, it will be secured in place by a very strong, long-lasting bond. It’s relatively uncommon for veneers to simply fall off. And because the somewhat-fragile porcelain is susceptible to chipping and cracking, some dentists may recommend staying away from any extremely hard foods, and avoiding things like bones, hard nuts and seeds. Composite vs. Porcelain: What Kind of Veneers Should I Get? 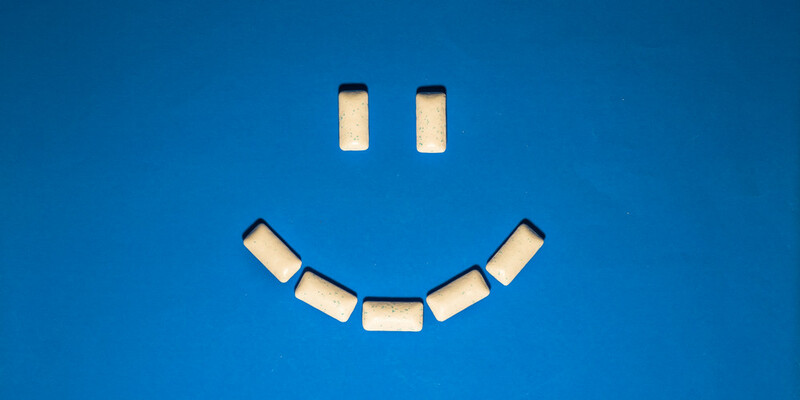 There are two popular types of dental veneers: porcelain veneers and no-prep veneers. There are also composite veneers, which are generally used to fix small cosmetic issues. Unlike no-prep and traditional porcelain veneers, composite veneers are significantly cheaper, but aren’t stain-resistant and don’t provide the same natural-looking finish. Still, dentists can keep composite veneers in great shape with regular polishing. Composite veneers are popular because they can be finished relatively quickly in a single visit, but they don’t last as long as porcelain. Porcelain veneers are more expensive, but better for those who have several cosmetic issues — yellowing, chips, cracks, crowding or gapping — and who prefer a more natural look. However, they require drilling, which can compromise the quality of the teeth for the long-term. No-prep veneers are also on the pricey end, but don’t require a large amount of enamel removal, so they’re better for the teeth. Other options include instant veneers, which are pre-made rather than custom-made. Removable veneers — sometimes called the “snap-on smile” are a relatively new option. This type of veneer can be put on and taken off by you at will, which makes eating and cleaning easier. If you want to get porcelain veneers, you have to meet a few criteria. For one, you must have reasonably good oral health. Those with gum disease, significant tooth decay or a root canal infection should not get porcelain veneers. Good candidates have moderately straight teeth and good oral hygiene, and don’t grind or clinch their teeth, as this can quickly wear away the porcelain. If you have prohibitive dental issues that bar you from getting veneers, your cosmetic or general dentistry professional should be able to find an alternate solution. For example, dental crowns made of composite resin or dental implants may be more suitable for you.